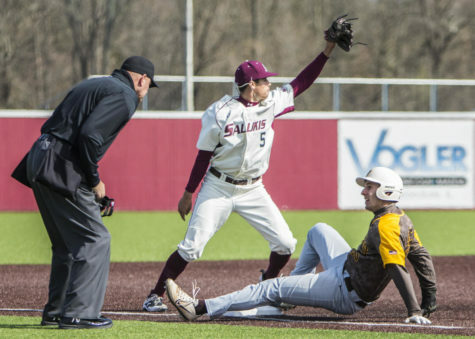 After eleven games season and a 3-8 record, the SIU baseball team has so far struggled but shown flashes of potential. 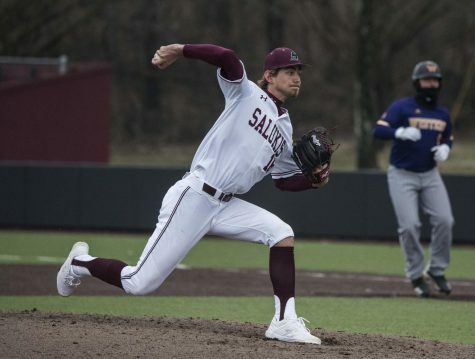 The team suffered a sweep to Jackson State in the first series of the campaign, however, the Salukis bounced back for a big win against Austin Peay. 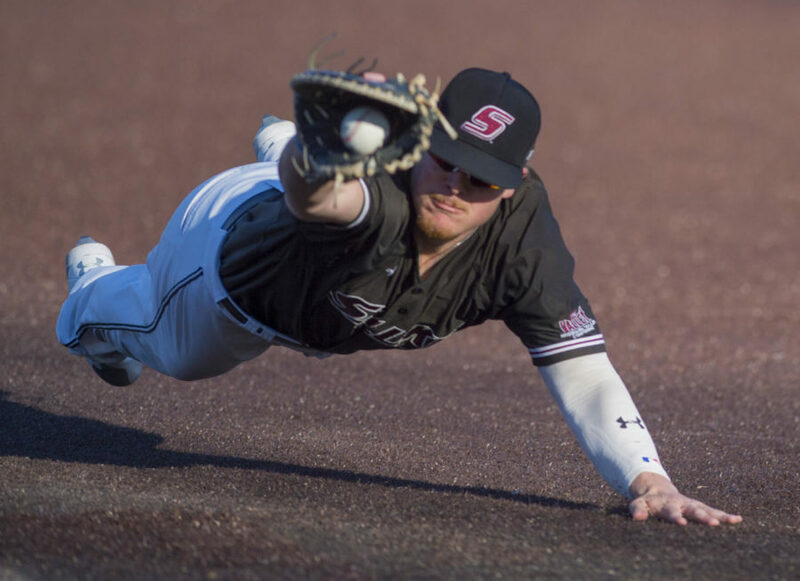 SIU followed up with a three-game series against North Florida, where the Salukis won one of three matchups. 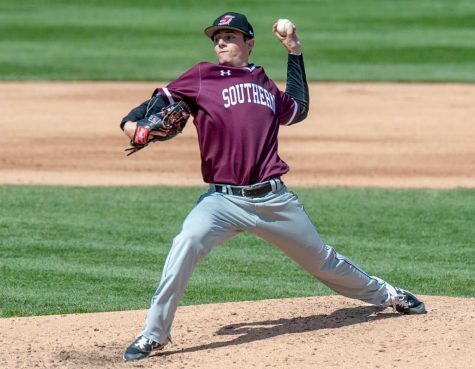 To close out the eight-game road trip, the Salukis took on the Belmont Bruins in which sophomore starter Brad Harrison threw a shutout for Southern’s third win. 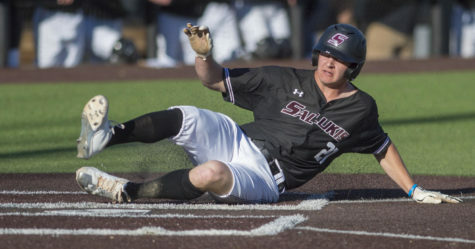 When the Salukis finally returned to Itchy Jones Stadium, the team suffered a three-game sweep at home to the Louisiana Monroe Warhawks and now sit on a 3-8 record. With not much success in the win column, Southern has shown that it does, however, have potential to be an offensive powerhouse. Out of the 11 games SIU played this season, the Salukis only failed to reach the six-hit mark twice. In six of those games, Southern netted double-digit hits, including an 18-hit game in the second matchup against the Warhawks. The issue has not been getting the players on base but the ability to get the runners home. 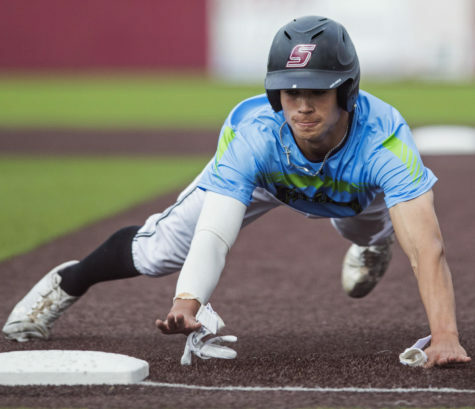 In seven of SIU’s games, the team has stranded at least six men on base. With a brand new lineup of players in the 2018 season, it has been up to Kopach and senior first baseman Logan Blackfan to lead the way. Both players have delivered so far. Kopach, the Salukis’ leadoff hitter, currently leads the team with a .417 batting average and with an on-base percentage of .463 at the time of writing. The shortstop also leads the Missouri Valley Conference in hits and stolen bases with 20 and 9, respectively. Blackfan, who hits in the cleanup spot of the lineup, currently holds a .354 batting average with a .646 slugging percentage. At the time of writing, the first baseman is second on the team with 17 hits, second in the MVC with 31 total bases and leads the conference in home runs with four. While the seniors have done their job, the next question for the Salukis is who will step up and complement the seniors in the lineup. Junior left fielder Alex Lyon and junior second baseman Nikola Vasic have answered that question. Lyon has put up 15 hits with a batting average of .375 and a team-leading slugging percentage of .650. The left fielder has also sent two balls over the wall, including a grand slam against Austin Peay. Vasic has proved to be a solid option when batting behind Kopach, as he has eight RBI along with 15 hits and a .333 batting average. The second baseman has also been active on the basepaths with three stolen bases at the time of writing. 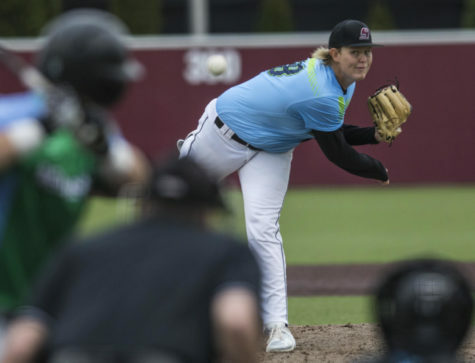 Another interesting aspect SIU’s squad is the bullpen which began the season struggling but found a groove in the home-opening series. Against the Warhawks, the relievers allowed seven earned runs across 15.2 innings compared to the starters’ eight earned runs through 11.2 innings. 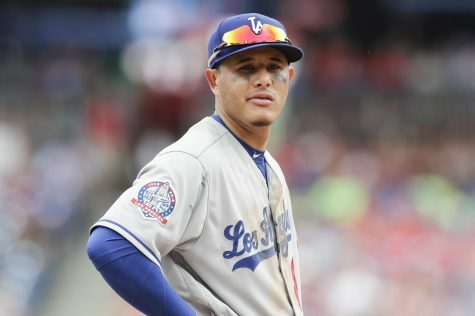 In the three-game series, the bullpen was forced to pitch more innings and was able to do its job of keeping the opposition to minimal scoring while giving their offense a chance to fight back into games. Outside of the starting pitching not making it deep in games, one of Southern’s main issues is fielding errors and not pulling through on routine plays. 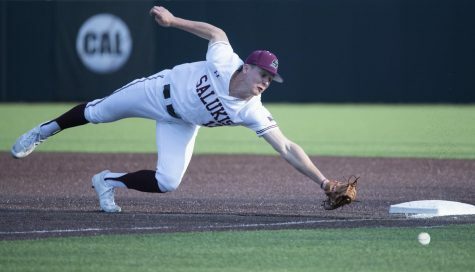 In seven of their 11 games, the Salukis committed two or more errors and have allowed a total of 17 unearned runs. One might think that with the new team, the issue just might be the chemistry, however, the players have said that chemistry is not the issue. 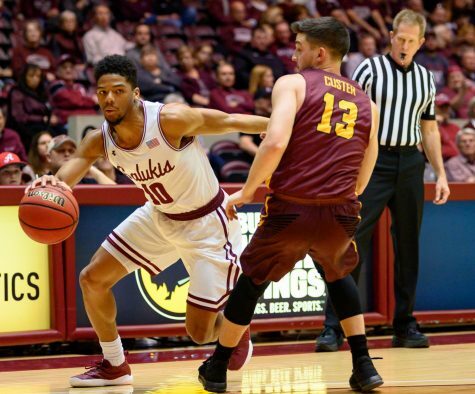 Although the team has suffered eight losses, Henderson thinks that it has provided the Salukis with a chance to gain learning experiences. 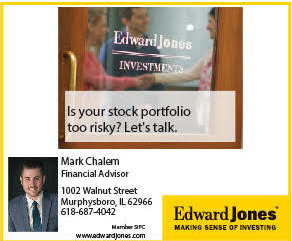 Even though the team has only pulled out three victories, they have assured that there is no quit and that things will turn around.